Hi everyone, welcome back to the Art of Business English. 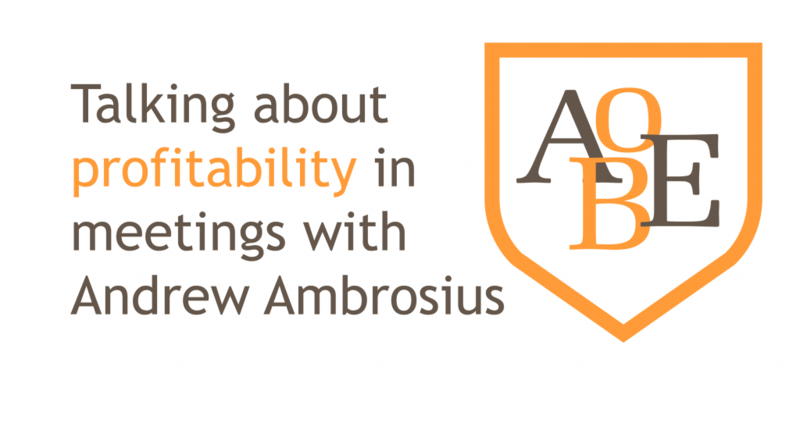 In today’s episode we are going to be looking at vocabulary for describing profitability when in meetings. We will be covering some general vocabulary and then some more specific idioms. If we find ourselves in a meeting or situation where we need to discuss the profitability of our products or services, then we should be using some of the following expressions. Below, I have divided the expressions into three categories. Firstly, idioms for products which are losing money, then products that neither make nor lose money and finally, products that make money. Let’s start by taking a look at some idioms and expressions for losing money. Now that we have covered loss-making idioms, let’s take a look at some expressions for describing products and services that neither make nor lose money. Finally, we can look at the best idioms, those for being profitable and making money. Any business venture, operation, or product that is a dependable source of income or profit. So, there we have a series of idioms for describing unprofitability, neutrality and profitability. In the second part of this episode I am going to give you some example sentences with these expressions in use. Unfortunately, on our premium line of skin care creams we are making a loss, due to high marketing costs in this quarter. After initially investing a lot of money in development and production costs, the company has finally broken even. This new business model is a real money spinner. We practically have very little in outlay. My company is underwater, staffing costs are overtaking profits and putting us into the red. Before we can go to the market to raise some capital we need to balance the books, or we won’t have any leverage. We are looking to make a profit of between 10 and 12 million dollars this year. I am hoping to recover my costs within the first year of business. We are making a killing this year. The economy is strong and consumer sentiment is high. Let’s turn now to the last part of the episode. Here I want to give you some study tips. As always, we need to study idioms and expressions within context. The three categories I have provided today can easily be applied to your daily business English. The first step is to review the list at the AOBE website and bookmark the page, making sure you understand the meaning of each expression. The translation will help you. Once you feel confident you understand that meaning of the various expressions, choose one from each of the three categories. Write the 3 down on a separate piece of paper and decide when are where these can be applied in your daily business life. For example, try and use them in your next meeting or presentation. Even easier would be to include them in one of you emails. When you feel comfortable using the three expressions, come back to the list at the AOBE website, using the bookmark you created earlier. Then you can choose 3 new expressions and repeat the process over again. Well, that is all we have time for today, I hope that this episode has been useful. Remember to share the podcast or post with your friends. This really helps us to reach more people and help as many people as possible with their business English. I look forward to reading your comments and answering your questions. Be sure to send them to me if you have any doubts that need clearing up. Till next week, have a great week and I look forward to having you all again at the Art of Business English. Take care.